The Scythe Katana is back (again) with a new, more efficient design thanks to the second generation of the Easy Clip Mounting System (E.C.M.S). The fifth generation of the popular Katana CPU cooler comes with a revamped asymmetric heatsink design with a total height of only 135 mm, offering unrestricted compatibility to mainboards and memory modules. 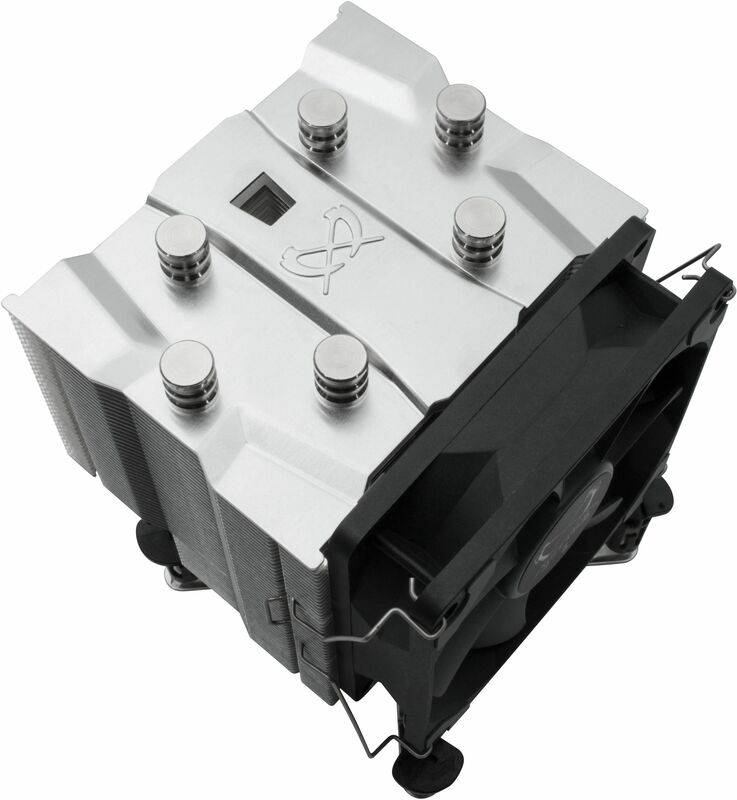 The second generation of the Easy Clip Mounting System (E.C.M.S) assures a fast and easy installation process. The Intel clip is already assembled but can be switched out with only a few steps. Another key innovation of the Katana 5 is the newly developed Kaze Flex 92 PWM fan. It combines the high-quality Sealed Precision Fluid Dynamic Bearing with anti-vibration rubber spacers for quiet operation and long life-span of 120,000 hours MTTF. The Katana 5 CPU Cooler features the E.C.M.S II (Easy Clip Mounting System II) mounting system that supports AMD's latest AM4 socket as well as a variety of other Intel and AMD sockets. The user-friendly Intel push-pin mounting is already pre installed, but can be replaced with the simple one-clip solution for AMD in a few simple steps. The new 92mm Kaze Flex PWM fan utilises a self contained Sealed Fluid Dynamic Bearing (Sealed Precision FDB) for quieter, more reliable operation with a extremely long lifespan of over 120 000 hours. The corners of the fan frame are covered with spacers made of rubber to prevent the transmission of vibration as well as reducing undesired operating noise. 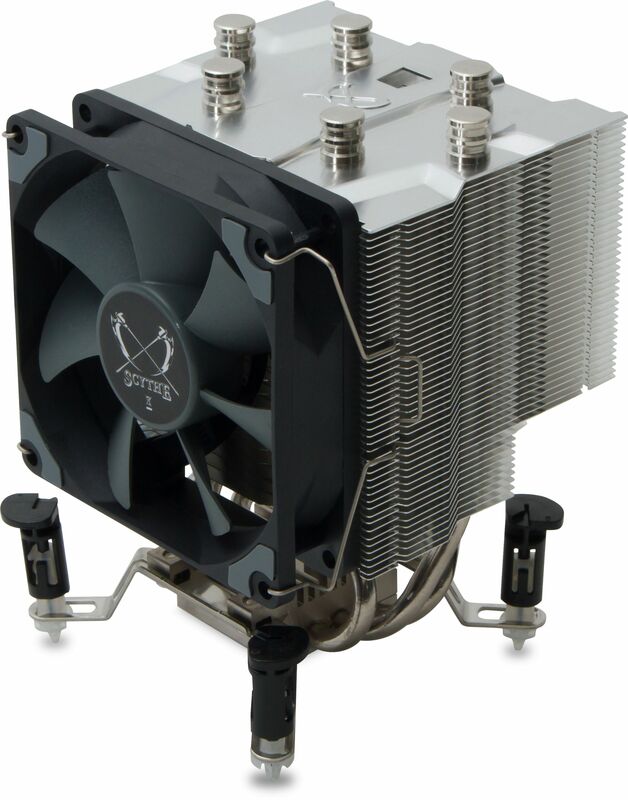 The Katana 5 CPU Cooler is a compact cooling solution that offers the best possible performance in a confined space. The offset design of the heatsink is designed to provide 100% compatibility with motherboard components and memory slots. 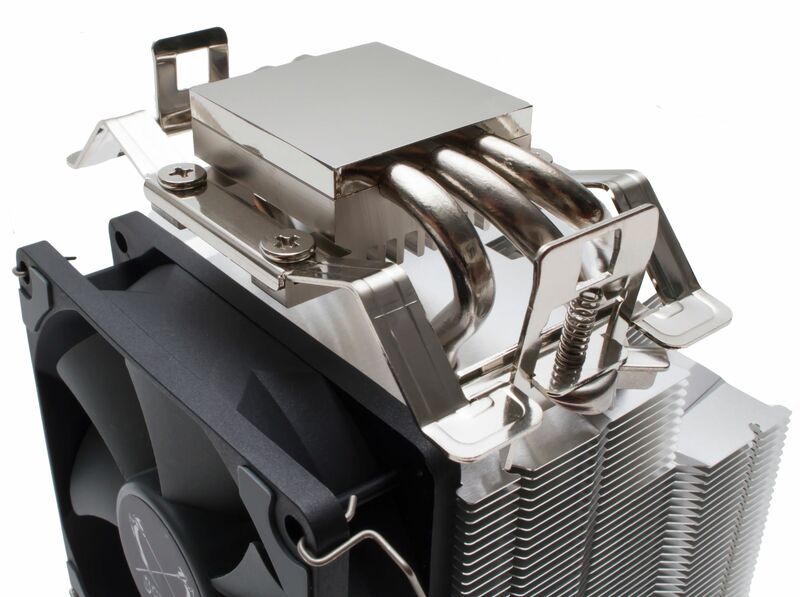 The Katana 5 CPU Cooler is also equipped with a high quality, nickel-plated copper base plate, as well as three perfectly fitted nickel-plated 6mm heatpipes to ensure maximum heat conduction.